Card Text: TAP: Add one colorless mana to your mana pool. TAP: Add B or R to your mana pool. 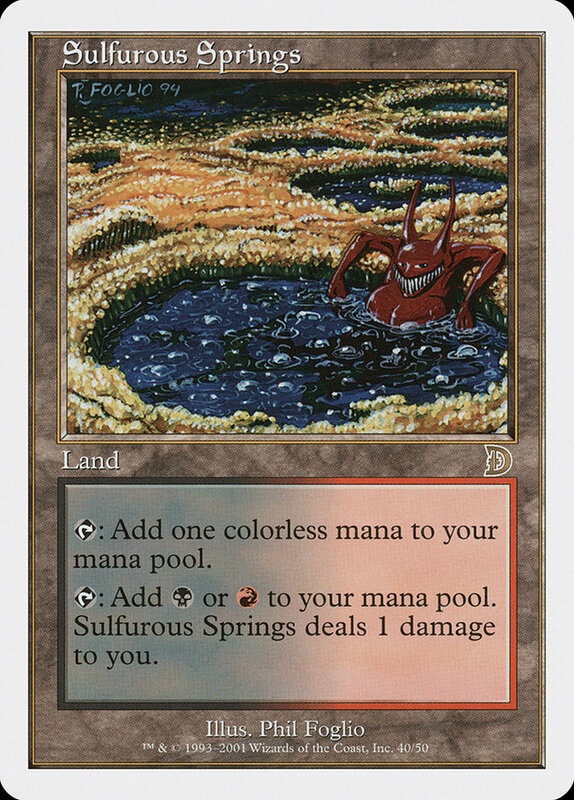 Sulfurous Springs deals 1 damage to you. Tap: Add B or R. Sulfurous Springs deals 1 damage to you.